Here in the northeast, I feel like if the weather is above 60°, you need to seize the moment. 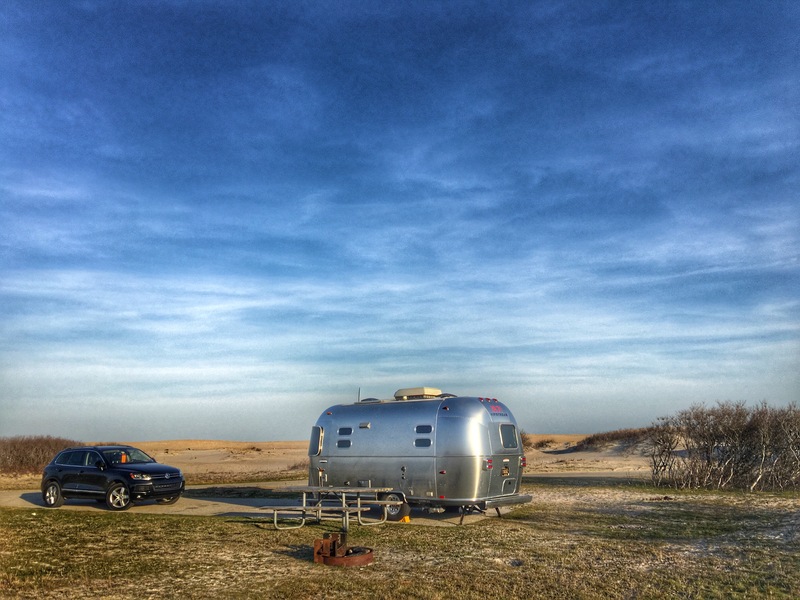 So, here I am at Assateague Island National Seashore, 2.5 hours south of Wilmington, DE. Oceanside campsites ($30) here are about to become very scarce as the weather improves, so I was very lucky to get this view. I had always been confused by this area; Assateague Island national seashore, Assateague State Park and Chincoteague National wildlife refuge were all a jumble to me. 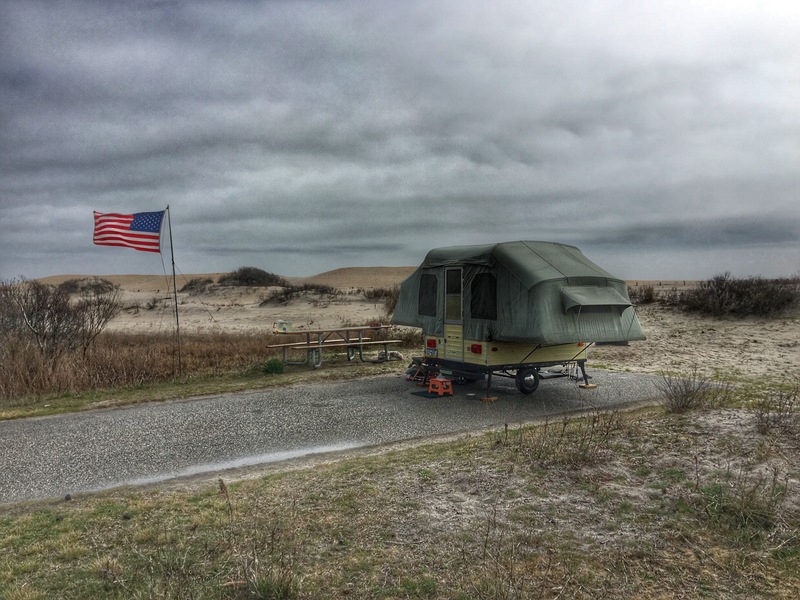 If I had known how close this camping was, I might not have made the journey to Kiptopeke State Park so often, which is two hours further away. Until my visit here, the closest thing to Delaware that represented to me what a true national Park was about was Great Smoky Mountains National Park. 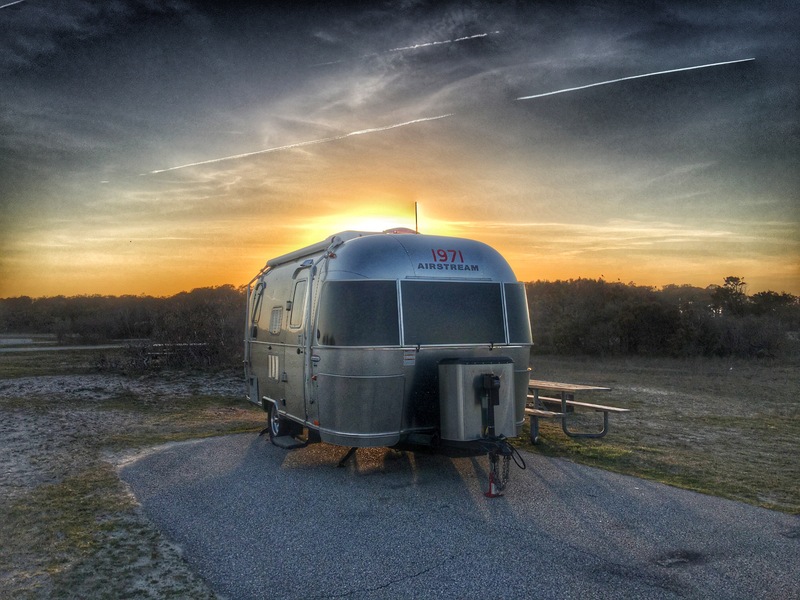 Assateague has that same feeling of grandeur and isolation that I crave in a national park. I’m happy to know it’s a full day’s drive closer. There’s a wide variety of campers here. 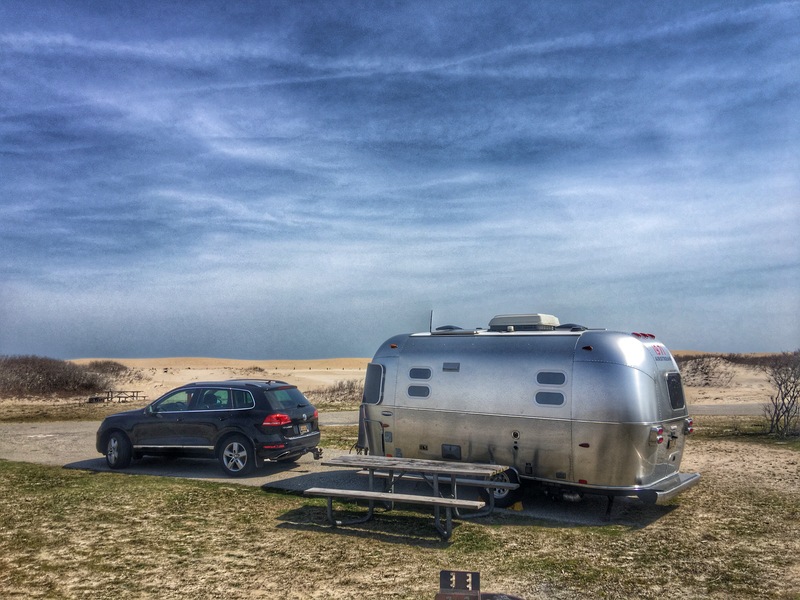 Typical motorhomes and fifth wheel trailers coexist alongside car campers, and even more unusual fare. 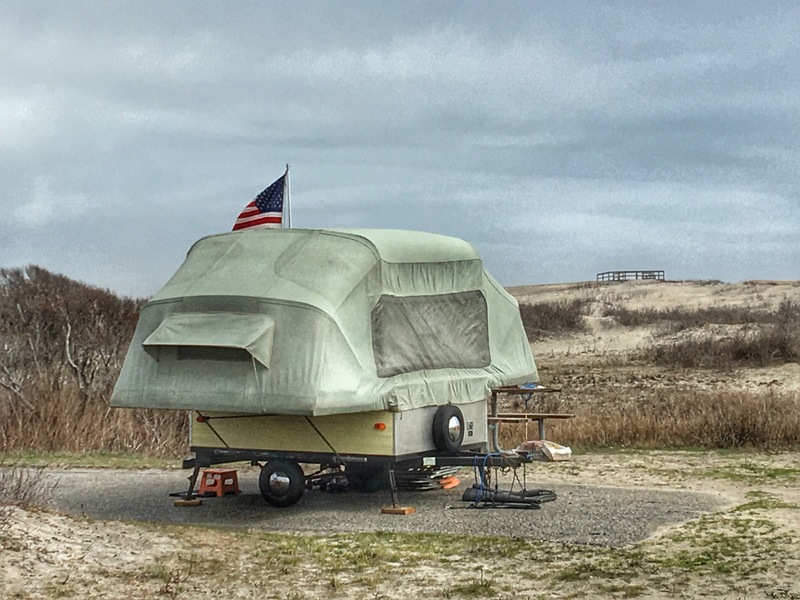 My camping loop features pit toilets and a cold water shower, and is just one sand dune away from the Atlantic Ocean. This loop is nearly full, even on a weeknight, but there’s plenty of space between sites. Seeing this park under a full moon is an added bonus. The sunrise does not disappoint. One of the most special things about this park, is the wild horses. And it has the piles of horse manure everywhere to prove it. 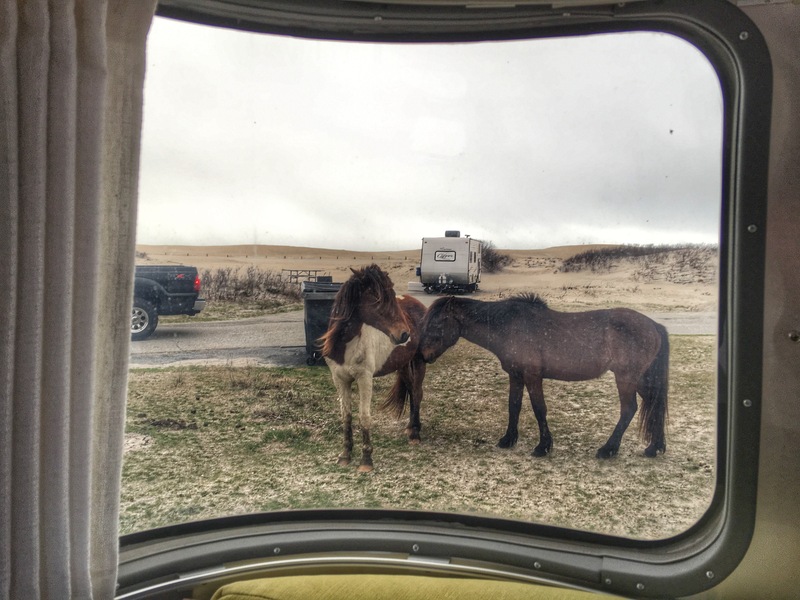 Despite posted warnings, it seems every visitor’s favorite pastime is to feed, pet, and approach these horses. On my way in, I witnessed an SUV full of teenage girls, bags of Skittles in hand, reenacting a scene I imagine they saw in the My Little Pony video, within view of one of those signs. Everyone does it. They’re irresistible. As I’m writing this, a pair walk by my trailer window. I’m told the horse flies and mosquitoes can be unbearable here, but the breeze and time of year must be in my favor. 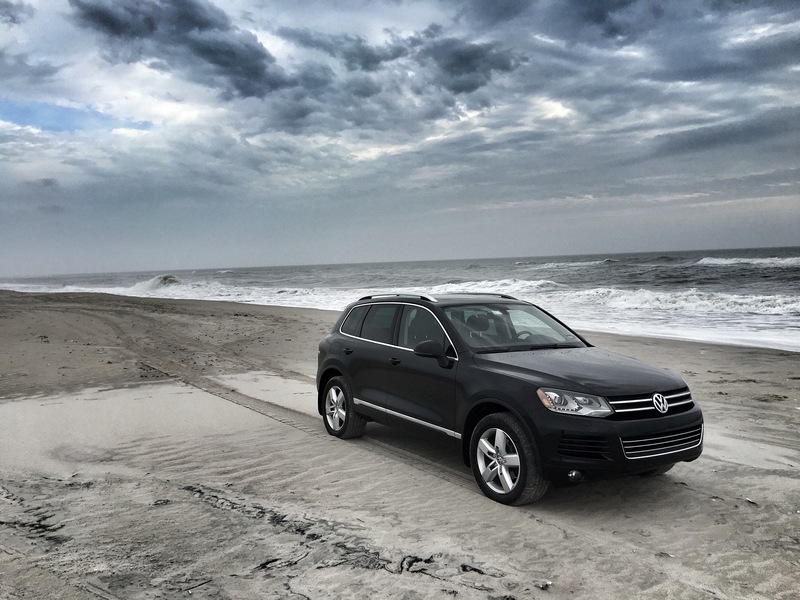 Another feature of this park is the 12 miles of drivable beach. Since I already had a 4×4 with the required clearance, a tire gauge, and a jack, I went out and bought a small shovel and a towrope so I could get an Over-Sand Vehicle (OSV) permit. 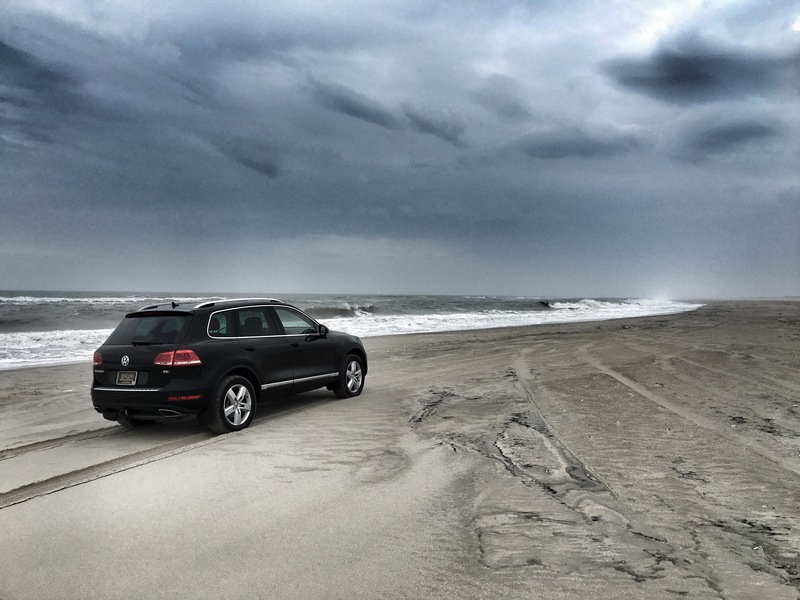 If you’ve never done it, driving on sand like this is not for the faint of heart. As a driver, you never feel in control, especially with the deep ruts. At the entrance to the OSV area, there’s a wide shoulder for you to deflate your tires to a recommended 15 psi (I reduced mine to the mid 20s). The outbound lanes have several stations with compressed air for the reverse procedure. I’ve enjoyed this amuse-bouche before the real camping season begins. I’ll be back. 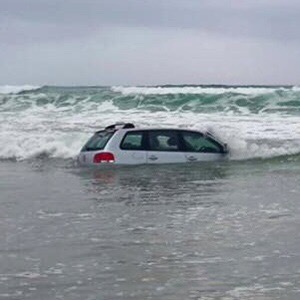 That VW was scuttled in Cape Town, South Africa. 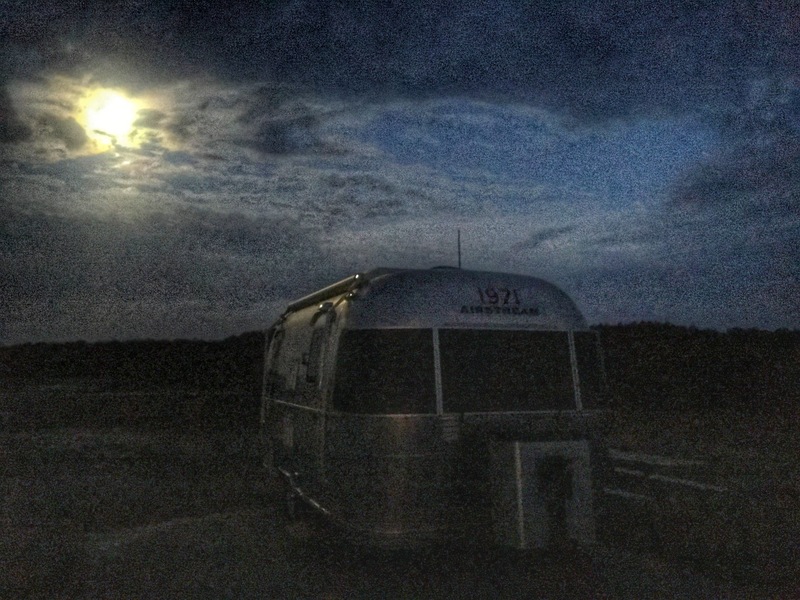 Your first trip of the season – wonderful pictures and narrative – unique spot – enjoy! Beautiful photos, I am in NJ but somehow always seem to go North, not South, ipthis might have to go on my list. Did you ever own a Tab? Your name sounds familiar. I had one for three yeArs. I did own a T@B – I loved it! 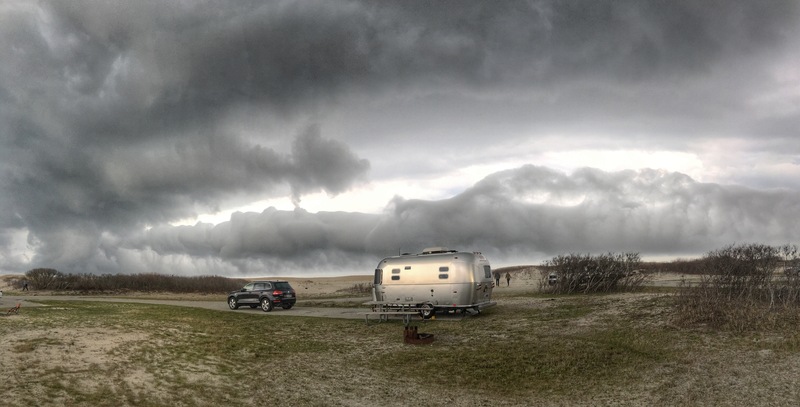 I started this blog in 2011 to write about my first cross-country trailer trip in that trailer. I’m 6’3″, so sending a few months out of the year in the T@B was difficult. Perhaps the best-made/designed trailer I’ll ever own. I am pretty sure you were on Tab forum when I was, I was Tabadoodle. Own one three years, but moved up to funfinder for three years and now airestream, starting 4th year. Loved the tab but wanted bathroom and shower. Love bambi, never use awning, your unfortunate situation sealed my decision. Your photos are great, look forward to following. 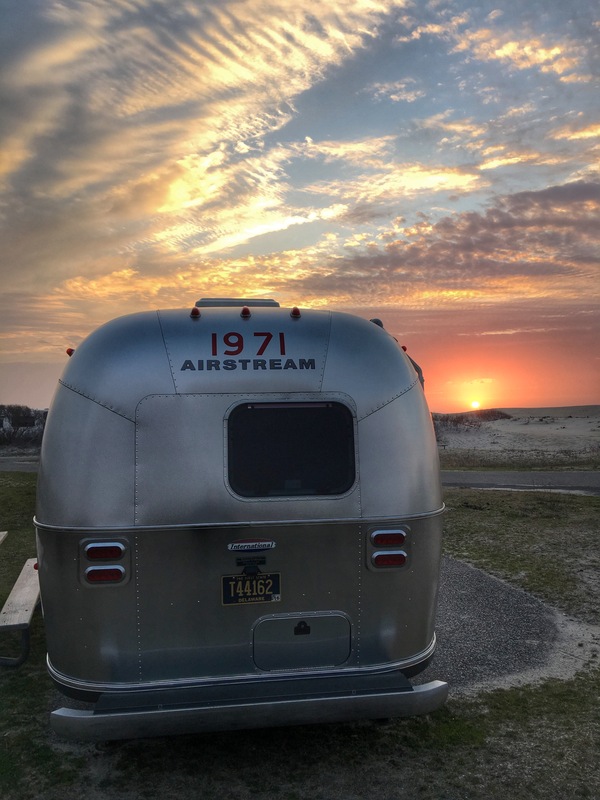 Are you an Airstream owner now, too? Yes, I have 2oo6 ccd international 19′ Bambi, referred to as Eirestream on the forum. I own an Irish Shop and travel 22k a Summer to 14 different Irish Festivals. i have never used a hotel, I use my cottage on wheels. Great fun, hard work.